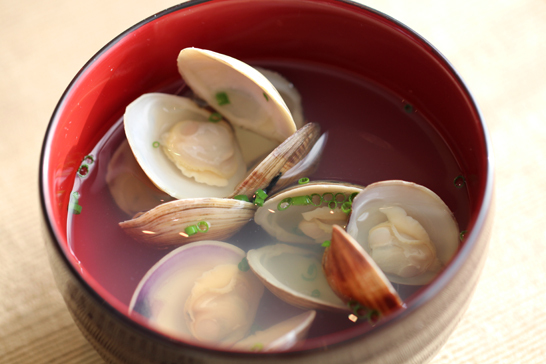 Today’s recipe is “Osuimono~clear soup~ with Pasta clams”. “Osuimono” means “Japanese clear soup”. It is cooked with soy sauce and salt instead of Miso. Clams contain a lot of sand. Brush shells with water well and put them in salt water over night. * Put water and kombu in a container. Put in fridge overnight. Brush pasta clams and put in salt water over night in fridge. 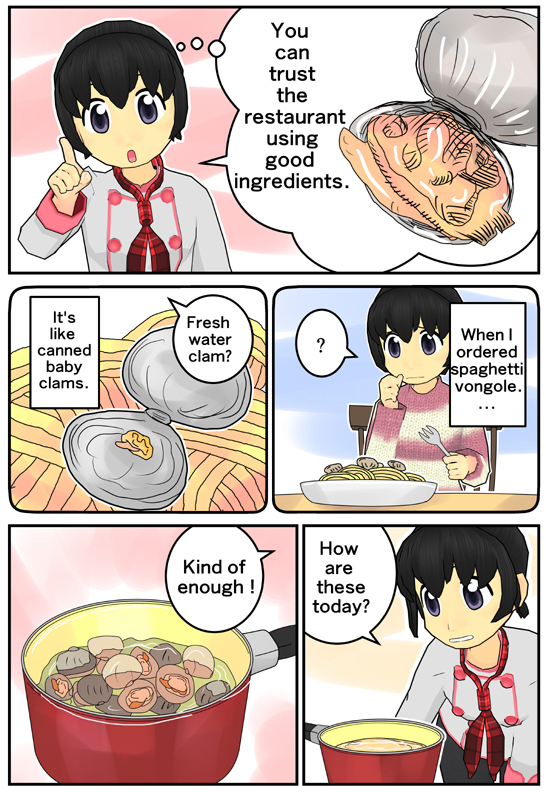 Rinse clams with clean water. Put Konbu dashi and sake into a pot. When clams open, reduce heat and add usukuchi soy sauce and salt. Put chopped chive, or green onion if you like. Dashi is very important in Japanese cuisine. But it takes time and sometimes you don’t want to make. 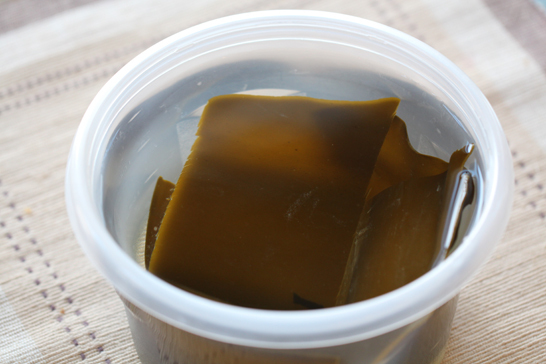 I introduce a simple way to make Kombu dashi. Put kombu into water and leave overnight. Use 5 g of kombu for 500 cc of Water. Try this very simple style Kombu water.